The Toronto Film Festival sponsors have some of the best contests surrounding their event. The Diet Coke Twitter contest was no exception and I was a winner! I was selected as one of the winners for the Gala Screening of The Descendants last Sunday. I was ecstatic as I am a film buff and a huge fan of George Clooney. However, on Thursday, I was curious as to why nothing was sent to me in regards to pick-up or delivery of tickets, I sent an email informing them that I was leaving in the morning and that I needed to know the whereabouts to pick them up! I was informed late Friday, that the tickets were mailed to my house. However, when I asked someone n Cambridge to check for me (while I sat stewing in Toronto), the tickets still hadn’t arrived. Talk about disappointing. As well, to make matters worse, Diet Coke could not issue me a set of replacement tickets but offered me tickets to Wednesdays screening of Jeff Who Lives at Home. My love for Susan Sarandon is great, but not great enough to make another trek to Toronto on Wednesday. So here I sit brokenhearted. 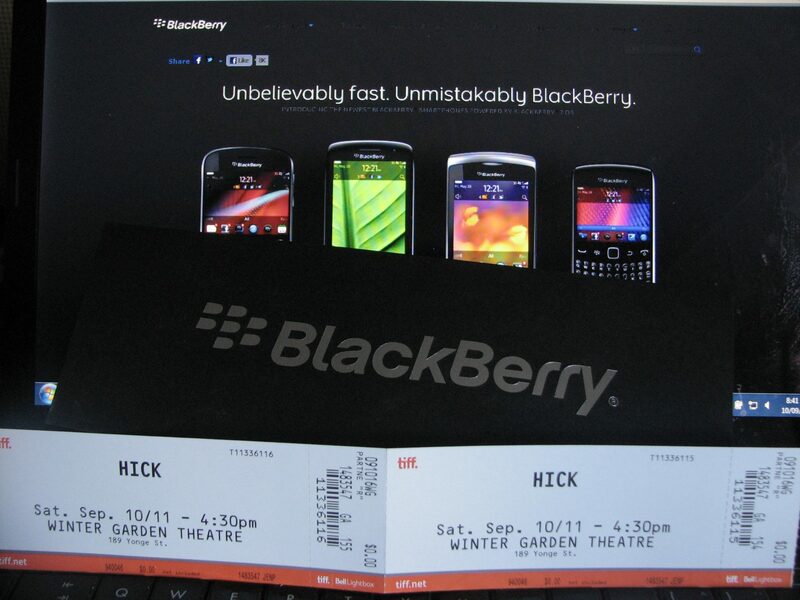 On a positive note, I did win tickets with Blackberry to see the movie Hick (not a gala screening). However, I committed those tickets to other people within my group because of the overlap and my desire to see Clooney in person. I have to say, sponsors like Blackberry really has it going on. Sara, from Edelman PR, contacted me at 4:10 pm yesterday to ensure that I was picking up those tickets on time because IF not, she would have them couriered to Roy Thompson Hall. I say that’s a class act. Now, what do I do about the Diet Coke situation? Well, I’m thinking that I have to turn this into a positive and I will be discussing it with them today.